The migration process is ONLY for existing Hoststar customers! 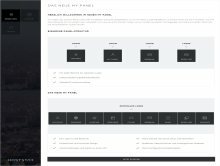 We have given the Control Panel and My Account areas a complete overhaul and combined them to create the new My Panel. In the future, you will be able to manage all of your information and subscriptions with a single login and use numerous new functions. Take careful note of the differences between the new My Panel and the previous panel structure. 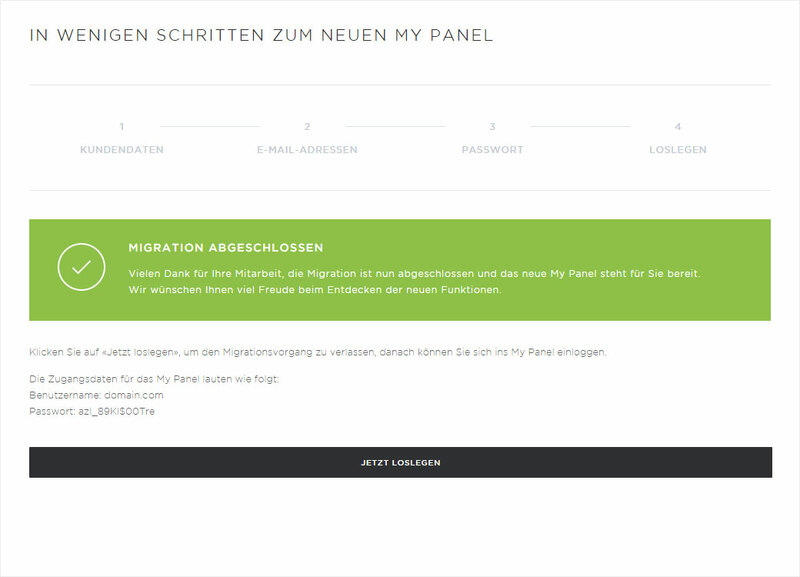 Then click the «Start now» button at the very bottom – your migration to the new My Panel is just a few clicks away! You will now see the contact information we have for you. Is it still current? If not, please update the information and keep it up-to-date in the future. It will save you – and us – a few headaches. Thank you. If your telephone number is not yet stored in our system in an international format (e.g. 00436508887766), you will see the error message «Please enter a valid telephone number.». Remember to add the country code (e.g. 0043 for Austria) before your telephone and fax numbers. After correcting your contact information, click «Continue» to proceed with the migration. Please check whether the email address(es) entered is (are) correct. Please ensure that you always keep your «email address» current as we always send invoices and information to this email address. 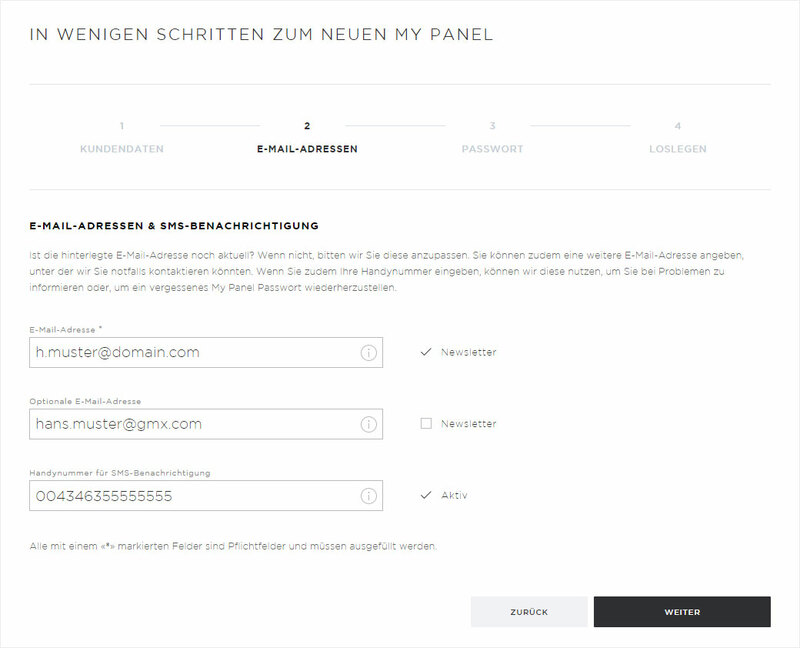 You can also add an additional «optional email address» with which we can contact you if necessary. 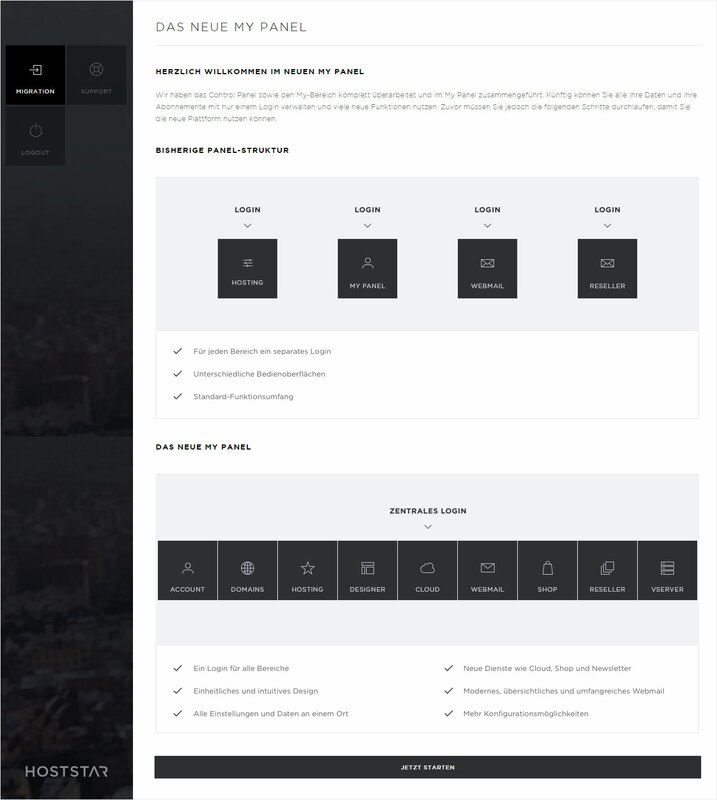 In the email address area, select the «Newsletter» checkbox to receive occasional information related to your hosting account in the form of a newsletter. If you want to receive notifications via SMS, you can enter your mobile number here (here again in international format: e.g. 00436503332211) and check the «Active» option. Please set a new password for accessing your My Panel. 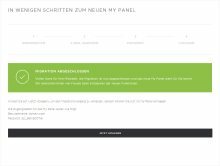 With your login details for My Panel, you can also connect to the FTP server. Your password must fulfil the following criteria: At least 8 characters long, with at least one upper-case letter, one lower-case letter, a special character and a number. As you're entering the new password, the security status is displayed. Click «Continue» to proceed with the migration. The migration is now complete. Click «Get started» to end the migration process. 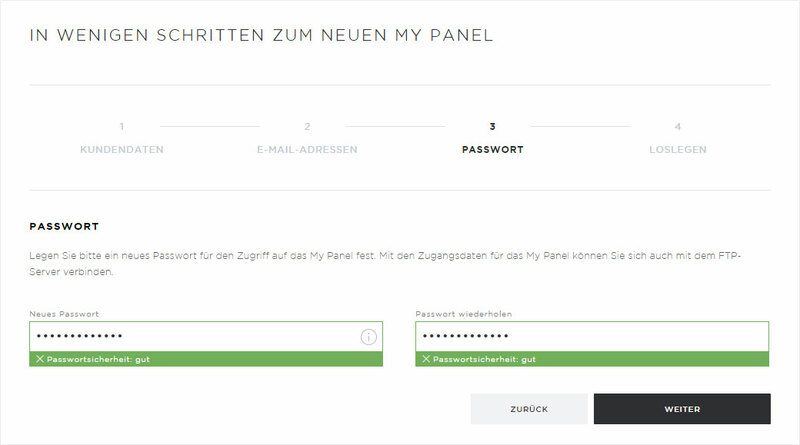 After that you can log in to My Panel with the login details displayed . The new My Panel is now available to you – with all of its functions. We hope you have fun discovering the new functions.